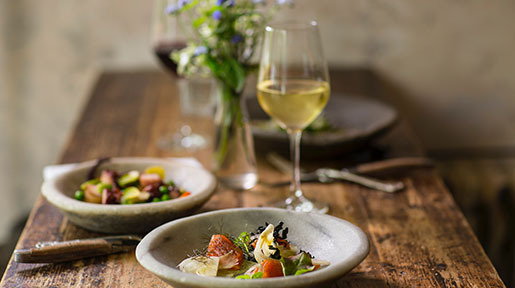 Thai food and aromatic wines from Riesling, Gewurztraminer, Pinot Gris are the more obvious pairing. Try to choose wines with lower alcohol level. The spicy element of the food will clash with bottles whose abv exceeds 12%. Germany and Austria are good countries to visit. But some of the lighter Alsatian wines will do as well. I’ve ha d a lot of fun trying different pairings along the way but I’ve always come back to German wines, in particular Spatleses. There’s just something about their kiss of sweetness that gives the heat of Thai its ideal partner. The list could go on for a long time but recent favorites have included: 2007 JJ Prum Wehlener Sonnenuhr Riesling, 2007 Donnhoff Norheimer Kirschheck Riesling, and the 2007 Muller-Catoir Haardter Burgergarten Riesling. Again, all three are Spatlese-level wines. I love Thai food. The mix of vegetables and spices makes it a great match for aromatic white wines such as Gewurztraminers and Chenin Blancs. For me, however, I recommend a Riesling. Thai food can be spicy and Rieslings act as a great match for that. Spicy or not, Rieslings are complex wines that age as well as almost any red wine. They are available in a host of styles and from all over the globe. I am going to recommend the Donnhoff Riesling. Donnhoff is one of my favorite German producers. He makes a wide variety of wine, some costing over $100 a bottle. The basic bottling is simply labeled Riesling and is available for around $20. It is a delicious wine that is just a bit understated and goes great with Thai food. The grapefruit notes of the wine are a great match to the food. Served with a chill (around 50F), the wine is thirst quenching as well. - Loren Sonkin is an IntoWine.com Featured Contributor and the Founder/Winemaker at Sonkin Cellars. Occasionally, I come across a wine that defies food-pairing expectations. Kerner is that wine. What the heck is Kerner, you ask. Kerner is a white wine bred from a black grape (Trollinger/Schiava) and a green grape (Riesling). Remarkably similar to Riesling, loaded with aromas and flavors of quince, lemon-lime, high-tone citrus, and tree fruit with a subtle sweetness and focused minerality, Kerner has slightly less elevated aromas and a broader mouthfeel than Riesling. Subsequently, Kerner pairs well in any situation where there is spicy and/or spicy sweet food. 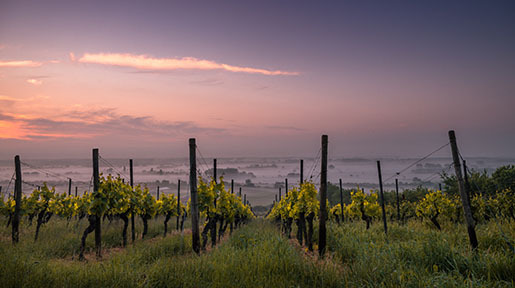 And though Kerner is actually a German product, now the country’s third most planted variety, the Italians are showing the most promise with the grape. 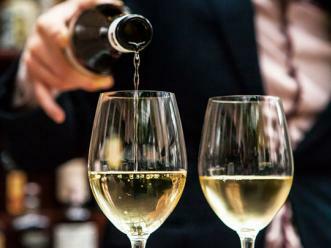 In particular, the best Kerner can be found in the northern region of Alto-Adige, tucked in the Pre-Alps of Italy’s northern borders with Switzerland and Austria. My favorite: Abbazia di Novacella. 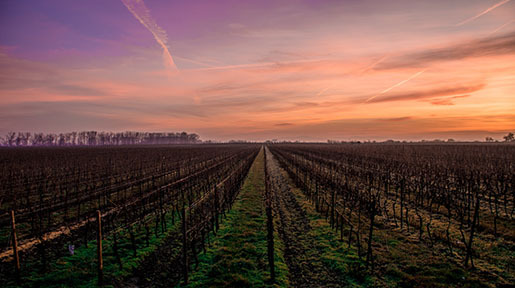 Wine has been made at this facility since the abbey was founded in the mid-twelfth century by Augustinian monks. Today, the company’s annual 500,000 bottle production is headed by Celestino Lucin, named 2009 Winemaker of The Year by Gamero Rosso. If I could get my hands on a bottle of this Kerner, and my fingers on some real good Thai food, I would be a very, very, happy man. – Ben Spencer is a diploma student with the Wine & Spirit Education Trust and an IntoWine Featured Writer.